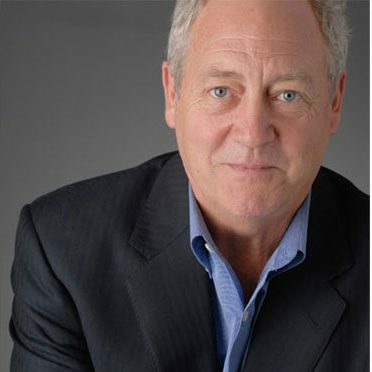 Resume of Patrick Moore, Ph.D.
Dr. Patrick Moore is an internationally renowned ecologist and environmentalist. Beginning his career as an activist/leader in the Greenpeace movement he now concentrates on collaborative efforts aimed at finding environmental solutions. He speaks and lectures frequently at universities, community meetings and conferences. As a public figure and a senior spokesperson for the Forest Alliance of BC he appears on national television and radio and is often quoted in the press. As Director and Vice-President, Environment and Government Affairs for Waterfurnace International 1995-1998 he worked to build awareness of the benefits of renewable earth energy technology. He is an accomplished author and photographer and recently published "Green Spirit – Trees are the Answer", a book on forestry and the environment. Dr. Moore believes strongly in the multi-stakeholder, consensus-based approach to resolving conflicts involving environmental, social, and economic issues.In 1991 Dr. Moore founded Greenspirit, a consultancy focusing on environmental policy and communications in natural resources, biodiversity, energy and climate change. Retained by IPEX, Canada’a largest manufacturer of PVC, to intervene in the environmental policy of the Toronto 2008 Olympic Bid. Appeared before the New Zealand Royal Commission on Genetic Modification. Conducted a two-week tour of Southeast Asia, hosted by the International Service for Assistance with Agri-Biotech Applications. Led seminars in Bangkok and Jakarta on the benefits of biotechnology for farmers in developing countries. Keynote speaker to 1500 members of the Filipino Society of Foresters, hosted by the Minister for Natural Resources of the Philippines. Attended, as a featured presenter, the National Transdisciplinary Forum in Basel, Switzerland. Featured in New Scientist interview as "Dr. Truth". The interview by Michael Bond sparked tremendous interest and resulted in numerous follow-up articles in the British and US press. Produced a 30-minute, broadcast quality video of "Trees are the Answer". Keynote speaker at many national and international conferences including UBS Warburg, Agri-Food Canada, Association for Investment Management and Research, and The Institute of Wood Science. Published "Green Spirit – Trees are the Answer", an updated and enlarged version of "Pacific Spirit – The Forest Reborn. Keynote Speaker at many meetings of industry associations and government agencies including the American Forest and paper Association, the US Geological Survey, the Council of European Paper Industries, State Forestry Associations in Texas, North Carolina, South Carolina, Georgia, New York, Maine, and Florida, the National Hardwood Lumber Association, Laurentian University and the Canadian Institute of Forestry. Testified before the US House of Reresentatives Committee on Resources in Washigton DC. The subject of the hearing was Forest Management, Ecology and Health. Attended UN Commission for Sustainable Development Intergovernmental Panel on Forests in Geneva and New York as a delegate from the Forest Alliance of British Columbia. Retained by BHP Minerals (Canada) Ltd. to author a paper on the environmental impact of submarine tailings disposal over the 23-year life of the Island Copper Mine on Vancouver Island. Sponsored for 30-day lecture and fact-finding tour of Australia by the National Association of Forest Industries. Lectured throughout the country including Australian National University in Canberra and Sydney University. Numerous national TV, radio and print appearances and meetings with State and Commonwealth Ministers. Toured all major forestry regions including Western Australia and Tasmania. Advisor to the Canadian Mining Association and the Prospectors and Developers Association of Canada on the role of biodiversity in environmental policy in the mining industry. Retained by the Canadian Pulp and Paper Association for annual two-week tours of countries in Western Europe to brief decision-makers and opinion leaders on forestry and the environment in Canada. Joined the Board of Directors of WaterFurnace International, the largest manufacturer of geothermal heat pumps for residential heating and cooling. Appointed Vice President, Environment and Government Affairs in March, 1997. Appointed by Lieutenant Governor in Council as Director of the Architectural Institute of BC. Member of the Environment and Energy Committee. Retained by Crestbrook Forest Industries to facilitate the process of establishing an independent, third party environmental audit of forestry operations to verify the claim that they are conducting their forestry on a sustainable basis as defined by the state-of-the-art knowledge of the subject. Retained jointly by Westcoast Energy and BC Gas to design a public consultation process to address greenhouse gas emissions for the natural gas sector in B.C. Retained by BHP Minerals (Canada) to initiate and facilitate the North Island Round Table - Landfill Proposal. This was a multi-stakeholder, consensus process involving citizens from all interest groups on northern Vancouver Island. Member of the GVRD Power Generation Working Group providing recommendations on the GVRD Air Quality Management Plan. Contracted to the National Speakers Bureau as a presenter on the subjects of environment, consensus process, sustainable development, and forest management. Member of the Economic Development and Environment Committee of the Vancouver Board of Trade. Member of the Board of Directors of the Forest Alliance of B.C., a broadly based industry/citizen coalition dedicated to the maintenance of a healthy forest environment and economy. Member of the Executive Committee and Chairman of the Forest Practices Committee. Consultant to the Forest Alliance on Environmental Policy and Public Process. Consultant to the B.C. Hazardous Waste Management Corporation. Retained to develop strategic planning process involving public participation to develop a comprehensive hazardous waste management system for B.C. Co-founder of Greenspirit, a consultancy providing advice to industry and government on sustainable development, environment, and public policy issues. Appointed to the British Columbia Round Table on the Environment and the Economy. Served on the committees focusing on education and local round tables. Member of the Aquaculture Advisory Council to the B.C. Minister of Agriculture and Fisheries. Member of the Board of Directors of the B.C. Aquaculture Research and Development Association. Founder and Chairman of the B.C. Carbon Project, an industry - government - environmental group working to achieve a common understanding of the carbon budget and the implications of global climate change for B.C. The B.C. Science Council provided a grant of $145,000 for the project in May, 1991. Founder and President, Quatsino Seafarms Ltd., a family business raising Pacific salmon for market at Winter Harbour. Member of the Board of Directors of the B.C. Salmon Farmers Association and President of the Association from 1986-1989. Joined Greenpeace as founding member in 1971 and served as director and international director until 1986. President of Greenpeace Canada, 1977-1986. Leader of many Greenpeace campaigns including voyages to save the whales, expeditions to stop the seal hunt, end uranium mining, protest nuclear warships, halt toxic waste discharges, and restrict supertanker traffic. Participant in development of environmental policy, the constitution of Greenpeace International, and strategy for raising mass awareness of environmental issues. Director, Western Canada Chapter, Sierra Club. Graduated from St. George's Private School, Vancouver. Honours B.Sc. in Forest Biology from University of B.C. Ph.D. in Ecology, Institute of Animal Resource Ecology University of B.C., 1972. Thesis title "The Administration of Pollution Control in B.C., A Focus on the Mining Industry." Born 1947, Port Alice, B.C. Third generation British Columbian raised in Winter Harbour on Vancouver Island where his family has been involved in logging and fishing for many years. Father is W. D. (Bill) Moore, past president of the B.C. Truck Loggers Association and past president of the Pacific Logging Congress.